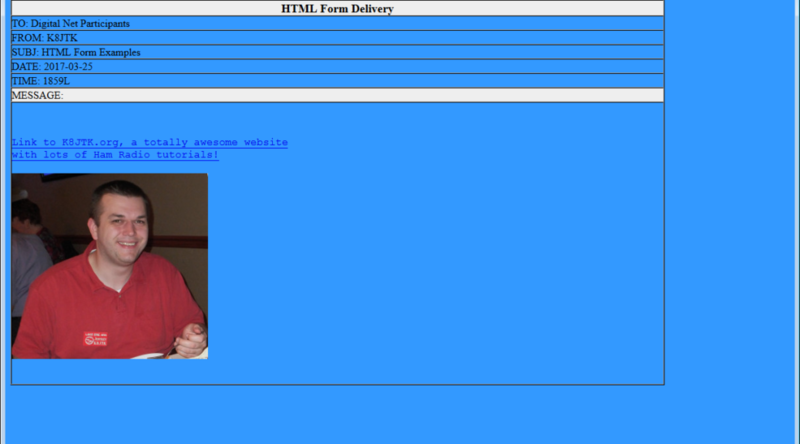 You can spice up your Flmsg forms and make them look like web pages! The option in Fldigi to open a received form in the web browser is an option frequently enabled. It allows the entire form to be displayed or printed from the browser. 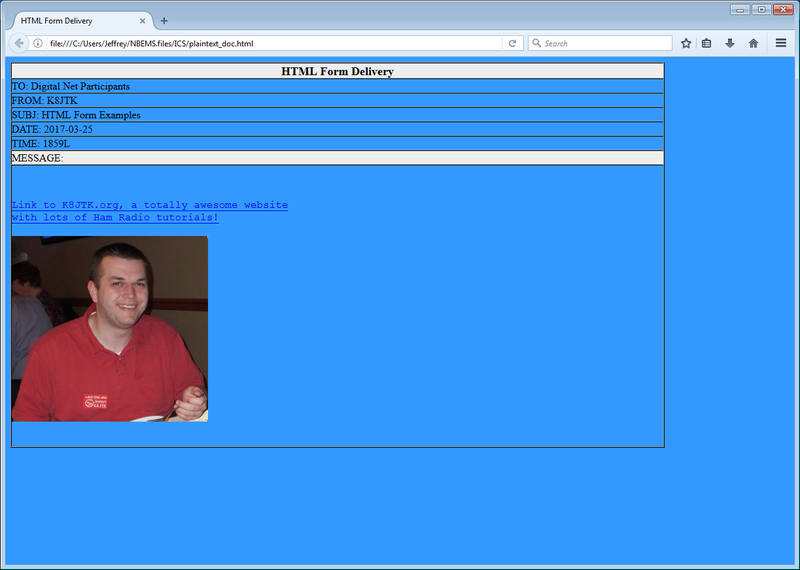 In order for the browser to render the form, HTML code is generated. Standard disclaimer, this is not a good idea during a real NBEMS event for many of the reasons mentioned below. The message sender has to be knowledgeable in programming or use W3Schools to learn web programming languages. 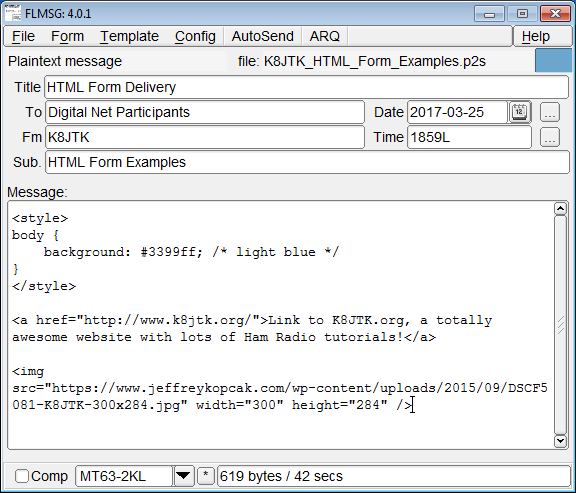 For the HTML to be rendered, receiving stations must have the “Open in browser” set in Fldigi (as described here in NBEMS settings). The Flmsg window on the receiving end will look like gibberish (code). Website contents, audio or video file contents are not being sent over or using Flmsg. They are being linked to over the Internet. This means any links or URLs included but be accessible on the public Internet (not a private internal intranet where receiving stations may not be on the same network). Not every receiving station may be connected to the Internet. They could be in a location without Internet access or because they’re in a temporary/portable situation. To view or test code as a receiving station might see it, in Flmsg click File. One of my favorites is the redirect to a web page. When received, the web browser will direct their web browser to load a website. I say this is my favorite because there is a story behind it. Every sound card digital training class I present or article I write, I preach DO NOT SET YOUR SOUND INTERFACE TO YOUR RADIO AS DEFAULT!!! as instructed. One reason is noted in that post. One day, I decided to see who followed instructions. I sent an Flmsg with a redirect to a YouTube trailer video. Once the video loaded, one ham (who will remain nameless) started transmitting the trailer video over the air (which included music). Don’t be that guy. To wait a specified number of sections, change 0 to that number of seconds. 0 means immediately load the included URL. 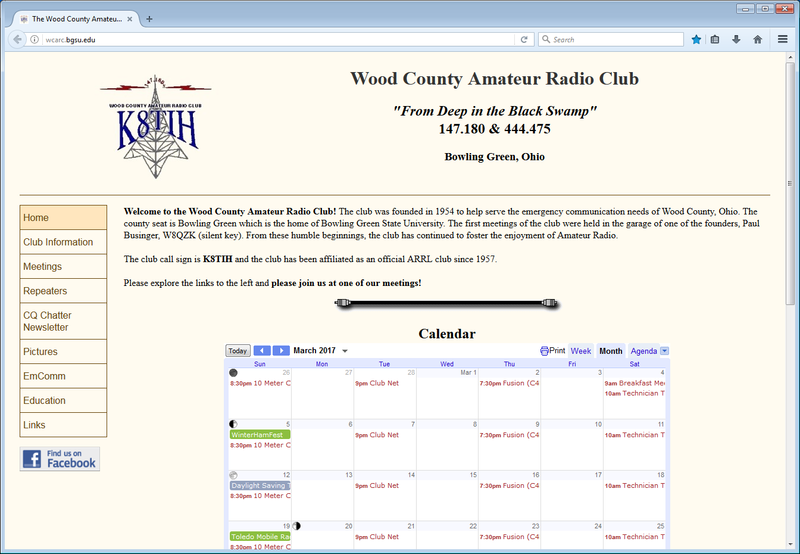 Web site loaded in the browser.